We don’t often promote writing competitions, but this one was too good to pass up. It is the Wergle Flomp Humor Poetry Contest. The deadline is April 1, which should give you a hint as to the 17 year old poetry contest topic. Prizes total $2250, and the winners will be published online. There are no restrictions, no limits. Just make it humorous. 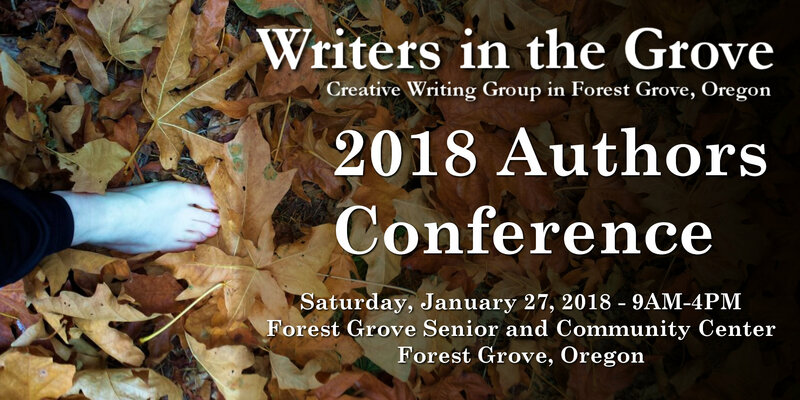 A special afternoon session at the 2018 Authors Conference on January 27, 2018, in Forest Grove, Oregon, will be presented by Paulann Petersen. Paulann Petersen is an award-winning poet and former Oregon State Poet Laureate. She is a former Stegner Fellow at Stanford University and author of several books of poetry including The Wild Awake, Blood-Silk, A Bride of Narrow Escape, Kindle, The Voluptuary, and Understory. She has also published five chapbooks and her work has been published in many anthologies, magazines, and websites. Paulann teaches poetry workshops for colleges, libraries, and writer’s conferences, and serves on the National Advisory Board for Friends of William Stafford. She will be presenting an afternoon poetry workshop to help you not only improve your poetry but also move toward publishing your work. She joins a group of extraordinary professional editors, writers, and poets in our first writer’s conference. Other speakers include Deborah Reed, Chip MacGregor, Holly Lorincz, Jessica Morrell, MaryJane Nordgren, and Kristin Thiel. Register today to learn from Paulann Petersen on professional poetry writing at the 2018 Authors Conference in January as space is limited. VoiceCatcher is an online magazine that features the creative writing voices of women. Published in the Portland, Oregon, area, Writers in the Grove member, Ann Farley is featured in this month’s issue with her poem, suRReal WOman walked oFF Canvas. Ann will be among the featured readers at a special event for VoiceCatcher on Wednesday, December 6, 2017, at The Corkscrew in Sellwood, South Portland at 7PM. The following is by Writers in the Grove member, Bunny Hansen. Overthrow cold suns and short days. Saliva drips from emblematic fangs. Hunt’s end, foreseen from the beginning. Is rubbed and polished until purity appears. A desert flash-flood, it carves a grand canyon. Listening for the call: Curtain up! The following is by Writers in the Grove member, Patti Bond. Friendship is understanding the motivation of others. Friendship is peachy keen and appreciates you for who you are. Friendship is rewarding and unique. The Scrivener Basics Workshop by Writers in the Grove begins September 21, 2017, Thursday at 6:30Pm at the Forest Grove Senior and Community Center in Forest Grove, Oregon. There is still space available. Scrivener isn’t just for writing and publishing fiction or non-fiction. Many successful poets use the power of Scrivener to not just create their poetry books, but also to track poetry submissions to contests, magazines, and other publishing media. Here are some resources to learn more about how poets are using Scrivener for their own poetry books and for anthologies. It was never loving that emptied the heart, nor giving that emptied the purse. Feel like you can’t go on. Given a life-threatening health crisis. Feel like life will not get better. Berry picker, babysitter, nursing assistant. The workshop is from 1-5PM, followed by a dinner (bring your own sack dinner) together, and a reading that is open to the public at 6:30PM at the newly expanded and remodeled library in Oregon City, Portland. Please register for the workshop by calling the library at 503-657-8269 ext. 1017.